Easy Guitar TAB. 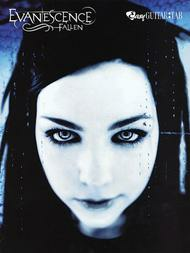 By Evanescence. This edition: Easy Guitar TAB. Artist/Personality; Guitar Personality; Guitar TAB; Solo Guitar TAB (EZ/Int). Rock. Book. 56 pages. Alfred Music #00-PGM0424. Published by Alfred Music (AP.PGM0424). Evanescence's multi-platinum album is now available in easy guitar TAB format. Includes four pages of color photos. Titles are: Bring Me to Life * Everybody's Fool * Going Under * Haunted * Hello * Imaginary * My Immortal * My Last Breath * Taking Over Me * Tourniquet * Whisper.